At Mazda we prioritize customer satisfaction, that is why we promise that every Mazda meets not only our high standards and expectations but yours as well. 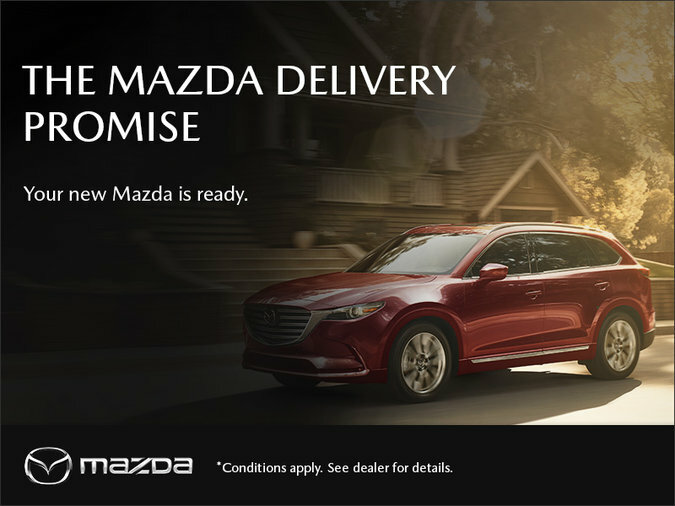 When you purchase a new Mazda, you are receiving a vehicle that is built for your needs. We also know that every detail counts so every vehicle is equipped with a full tank of gas, fitted front and rear floor mats, and 24-hour Roadside Assistance. You also receive quality workmanship, the latest in automotive innovation, and amazing performance at an affordable price. For more information contact or visit us, we are happy to answer any of your questions.